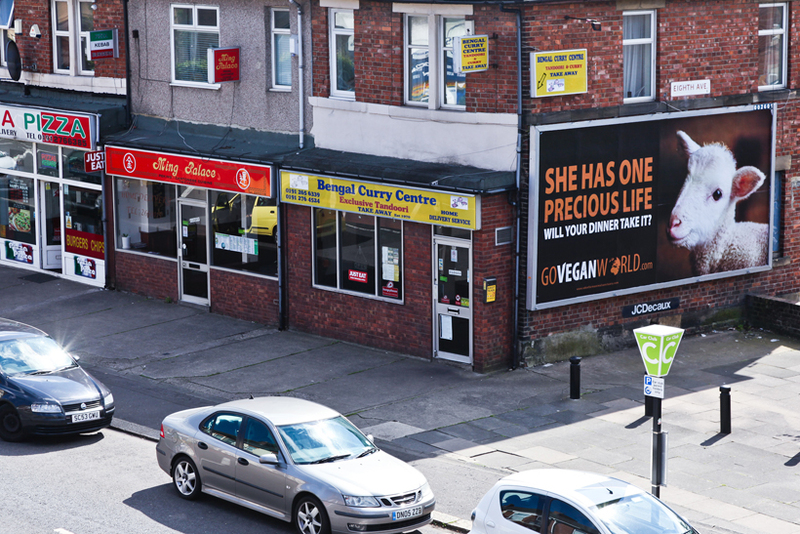 An outdoor campaign encouraging consumers to ditch animal products with hard-hitting messages has gone live in the North East, with a national rollout beginning in the next few weeks. 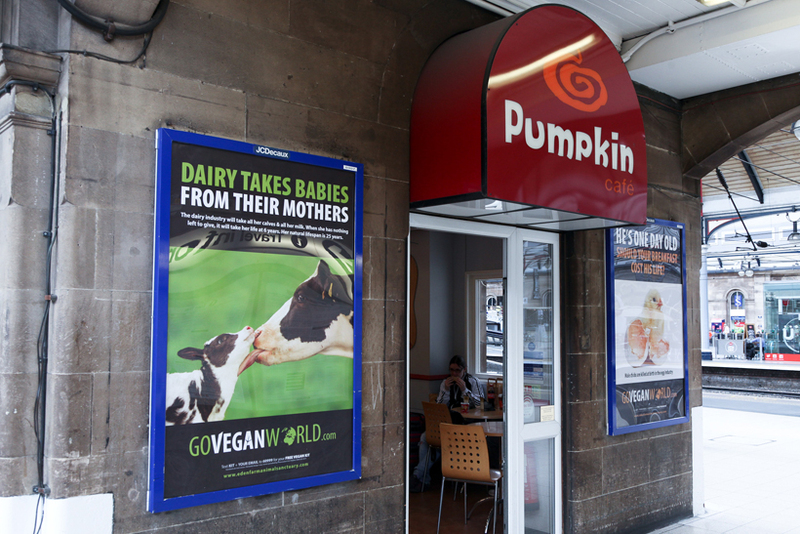 The "Go vegan world" campaign was initially launched last year in Ireland by charity Eden Farmed Animal Sanctuary Ireland, which provides shelter for rescued farm animals. Many of the animals features in the ads are ones that have been rescued by the sanctuary. 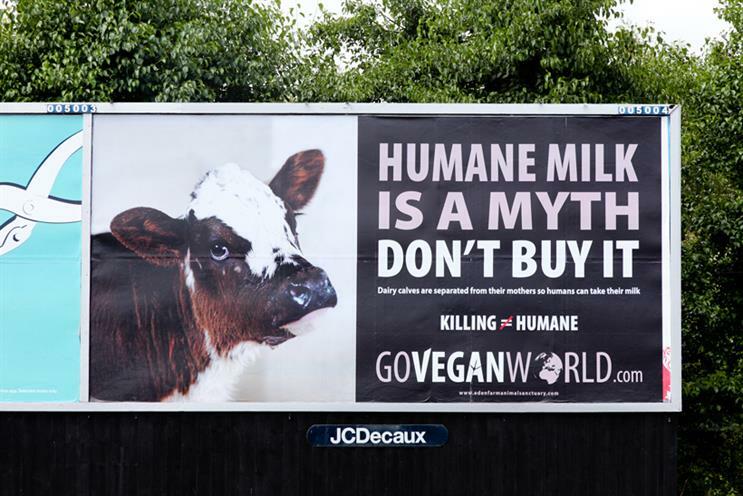 The drive aims to educate the public on the realities of meat, dairy and egg production, with messages such as "Humane milk is a myth", and information on how, for example, calves are separated from their mothers to enable their milk to be used for human consumption. 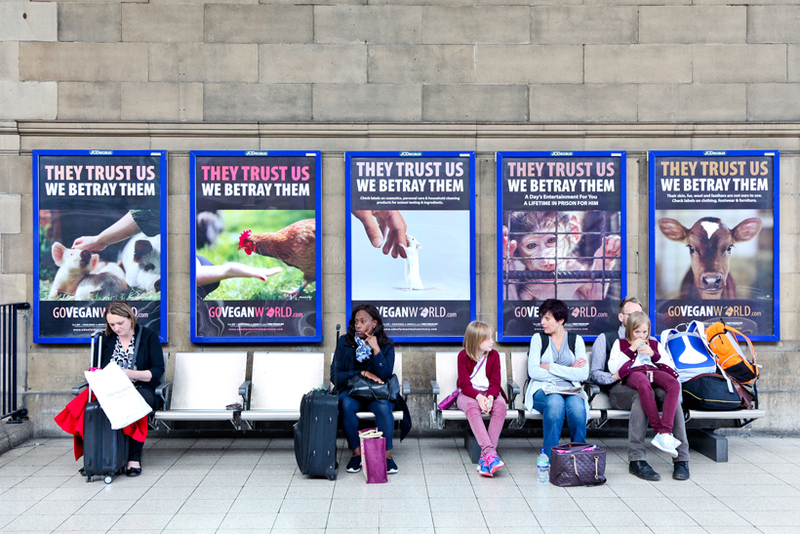 Campaign manager Sandra Higgins said the intention of the campaign was to make people realise they already held the values that motivated veganism. "Veganism concerns every man, woman and child on this earth," said Higgins. "If you asked most people if they think it is wrong to unnecessarily harm other sentient beings, they would answer that it is. This is because we all know that other animals feel. They experience physical and psychological pain when we hurt them. "When we live as non-vegans, we behave in ways that are inconsistent with our deeply held ethical beliefs and values. This campaign reminds people of those values." The campaign was created in house by Go Vegan World/Eden Farmed Animal Sanctuary Ireland, which also brokered the media. The ads are currently running in public transport locations and on billboards in and around Newcastle, and in public bathrooms at locations across the UK. It will gradually roll out throughout England, Scotland and Northern Ireland over the next six to 12 months.